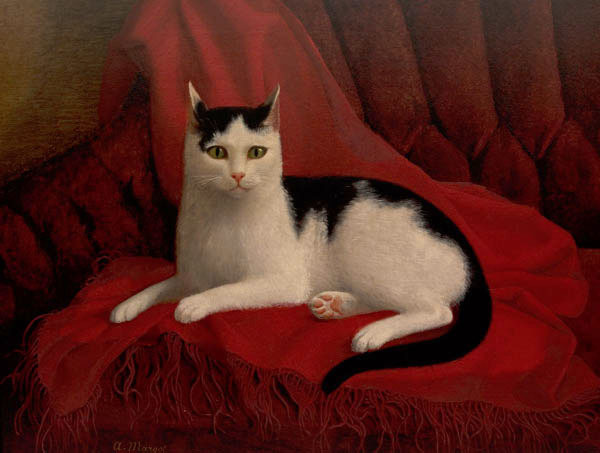 “Tommy” was Clara Barton’s beloved cat , and described him as her faithful friend of 17 years. The artist, Margot had worked with Barton during the Franco-Prussian War. She traveled to America and worked with Barton at the American Red Cross.